Happy 6 Year Anniversary, Crossfit Oswego! After college, I had started running marathons & triathlons to keep myself active and stay in shape. Yet, I still had such a yearning for something MORE when it came to my workouts. Nothing had quite yet gave me the satisfaction, sense of community and challenge that being an athlete did. 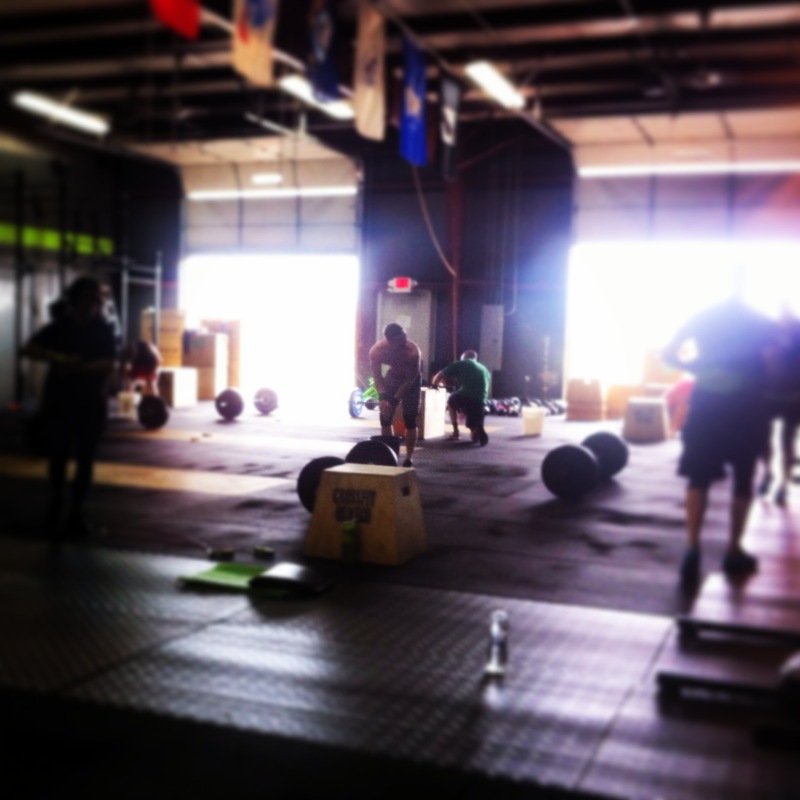 Enter Crossfit Oswego. I remember pulling up into the parking lot on my first class and I was a few minutes early. Once I parked, I noticed there were some of the coaches doing a workout that involved lots of running, some rope climbing and throwing around heavy looking stuff. Maybe nobody saw me and I can just turn right back around and leave? Who am I kidding with this!? This is so not my level, I should just stick to running. Somehow, another thought followed… OMG THIS LOOKS AMAZING! Obviously, I listened to the second thought, thank goodness. I was scared, because as corny as it sounds, I knew this place was the answer I was looking for. The place that was going to push me out of my comfort zone, and it has continued to be that place for 6 years, my third place. The place away from home & work where you can let the barriers fall, relax and just be you. The place where life, responsibility, stress, whatever it is you are going through, just gets put on hold for one hour. The magic hour. Because of the coaches and the people, I gained an outlet I didn’t know I needed. And I gained confidence and strength I never knew I had. 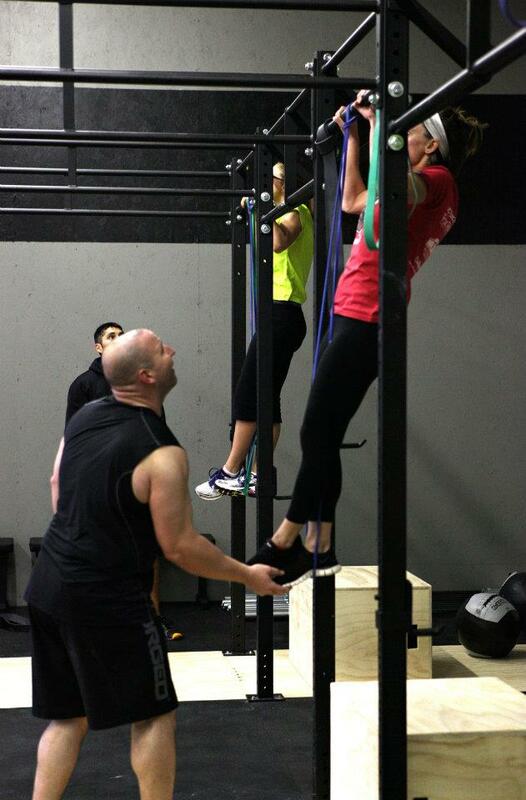 The picture below is during my first class, when I could not do a single pull-up and needed the assistance of a band. For as long as I can remember, I have wanted to be “that” girl. The girl with the kind of strength that people notice. The girl who can do a pull-up, or heck, SEVERAL. The girl that may look small, but is mighty. Crossfit has helped me be that girl I have always wanted to be, but never thought was possible. 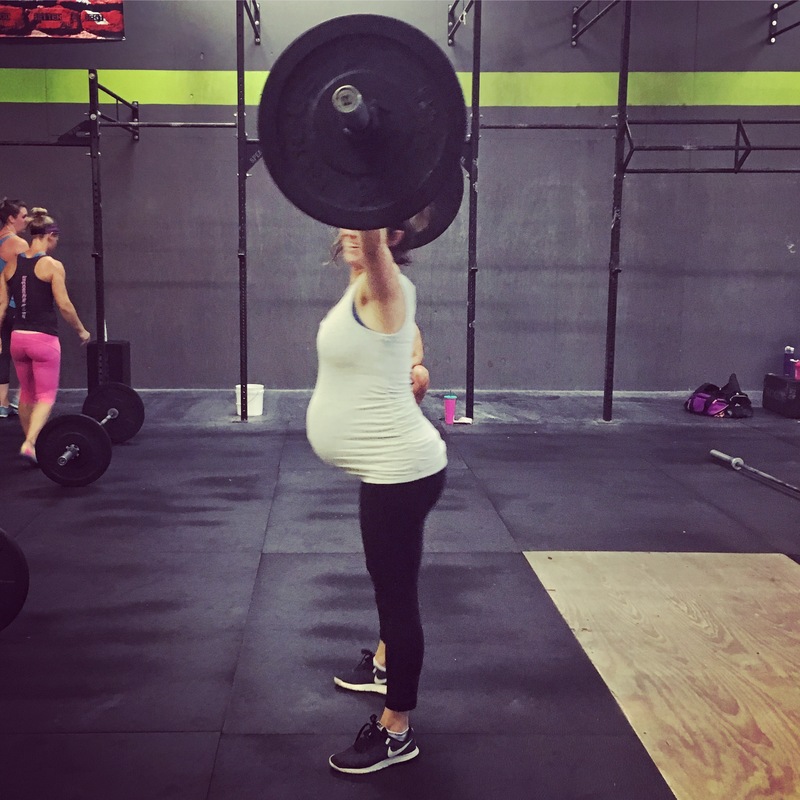 Through more marathons, two pregnancies, and all the ups and downs that life has had to throw at me…Crossfit Oswego has remained my constant. There are some seasons of life I feel like I am killing it in that gym, and others I feel like a total wuss (coming back after babies, oof). But, I keep showing up because for whatever reason, at CFO I am the best version of myself no matter where I am in life or in my fitness journey. I am positive, I am strong, I am capable. This place has no doubt changed me physically, but the mental aspect is what has truly been so profound, it is hard to even put into words. My inner voice is not as negative as it used to be and I go after things that used to terrify me. I am so thankful to these coaches and to this community for continuously changing and pushing me for the better. Happy Anniversary, Crossfit Oswego!